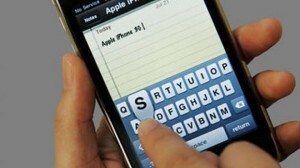 The lack of a predicting keyboard and automatic word suggestions has angered Apple users for quiet some time. Obviously there have always been ways to change the keyboard slightly but now a developer has found that there is actually a built in suggestions system that Apple simply disabled on the iOS keyboard. Enabling the system is not too difficult as long and as long as you can follow a few simply steps it is easy to do. Of course it might not hurt to wait a little bit longer though because Apple is reportedly preparing a new update which will enable a new autocorrect system on iOS 5 that has been in development for a while. Either way it is good to see that Apple is finally getting around to making some much needed changes to their iOS 5 keyboard, but for now you’ll just have to stick with what you’ve got.